Tie The Knot With Personalised Bridesmaids Gift Packages. offers personalised handcrafted jewellery online in South Africa and internationally. Shop for online jewellery in sterling silver or gold. 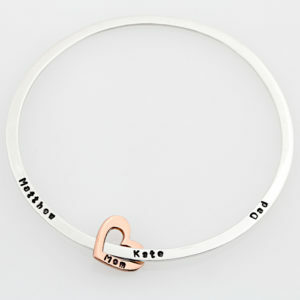 Fine personalised gifts for men and woman such as necklaces, rings, bracelets and bangles. Ethically handcrafted jewellery in 925 Sterling Silver and gold which can be personalised with our gorgeous hand stamping or engraving service. Each Sterling Silver item is handcrafted to order, which gives every item a unique one of a kind status. At Silvery we craft a wide selection of 925 Sterling Silver Rings, 925 Sterling Silver Bangles, 925 Sterling Silver Necklaces, 925 Sterling Silver Bracelets, and 925 Sterling Silver Charms & Pendants. 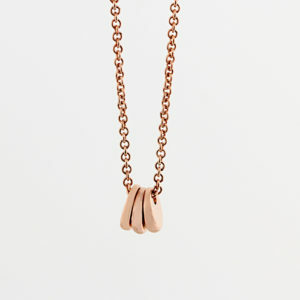 On most of our items you can also select your ring, bangle, necklaces, bracelet or pendant to be gold or rose gold plated to vermeil standards. 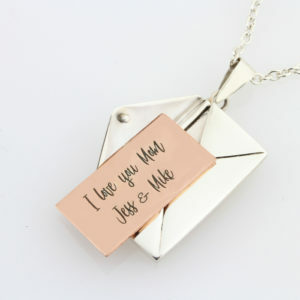 At Silvery online jewellery we know what makes jewellery special is personalisation which is why we offer personalised jewellery online in 925 Sterling Silver and gold. 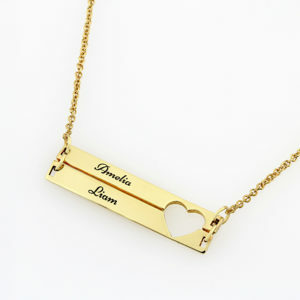 You can select to have your item either hand stamped or engraved by our laser engraver. 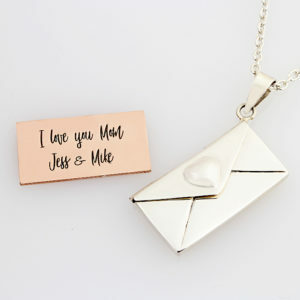 Hand stamped jewellery is our favorite style of personalised jewellery, as the name says, each character is aligned by hand and eye and stamped into your jewellery which gives it that stunning handcrafted and personalised look. Shop on Silvery for silver rings for women and latest fashion trends such as: Sterling Silver Knot Rings, Promise Rings, Engraved Rings, Engraved Bangles, Africa themed jewellery, Mens Cufflinks, Name Necklaces and many other jewellery trends and fashions including our Infinity Range. You can also shop wedding rings and wedding bands at Silvery. Our range includes wedding rings for woman and Men’s wedding rings in both 925 Sterling Silver & 9ct Gold. We can also custom make your perfect wedding rings according to your requirements. We also have recently introduced our medical alert jewellery or ICE jewellery. Every year comes with a new Wedding Anniversary for all our married couples. We have a stunning range of wedding anniversary gifts for your wife or husband. Each personalised Anniversary gift can be personalised with our hand stamping or engraving service. We have Medical condition bracelets, medical condition bangles and medical condition necklaces available online. We are also proud to introduce our Personalised Keyrings and keychains. Silvery now also offers gifts for special occasions such as Christmas for both him and her. Select from a variety of custom keyrings and chains in South Africa form Silvery.co.za. As Silvery is an online store we can deliver our stunning Sterling Silver Jewellery to any destination in South Africa. We offer Free Shipping as well as expedited 1 – 2 Days shipping to all major CBD such as Durban, Johannesburg, Cape Town, Bloemfontein and any other major region. 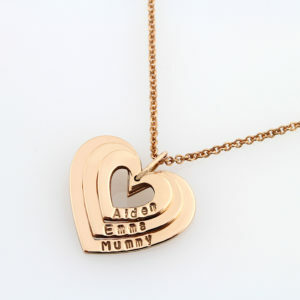 Silvery Jewellery now ships Personalised Jewellery to Australia, United Kingdom and the United States.